- Over a million people gathered in Times Square in the 9-degree weather, with a wind chill factor of 4 degrees below zero, to watch the 2018 ball drop and confetti rain down on the street. 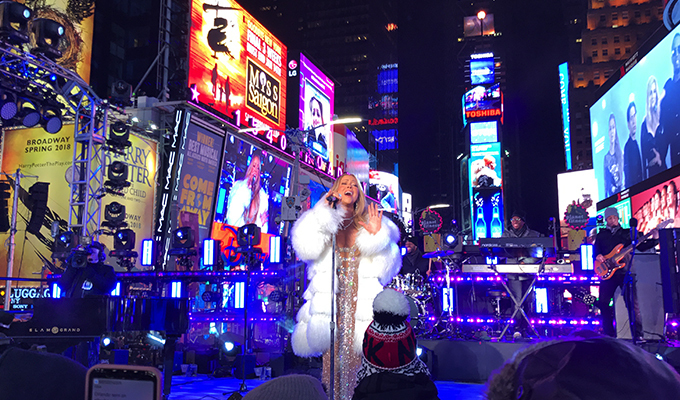 The frigid temperature made it the second- coldest New Year's Eve ball drop on record in New York. The coldest ball drop in New York City still holds at 1- degree Fahrenheit in 1917. 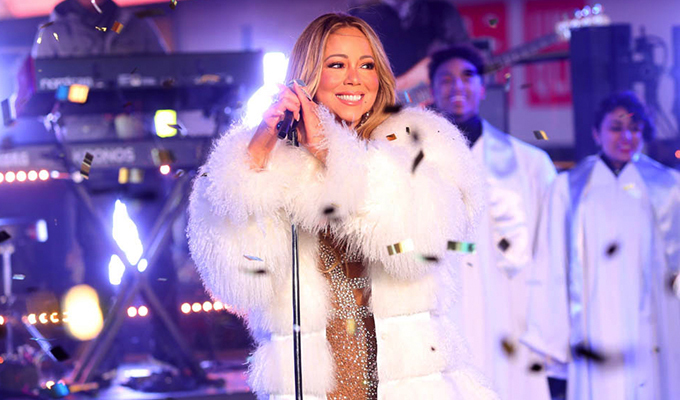 - For the 11:30pm show, as Mariah delivered stellar performances of “Vision of Love” and “Hero”, the broadcast received 25.6 million viewers — the most in 27 years!!! With 8.2 rating in the key demo, making it bigger than the Grammys! 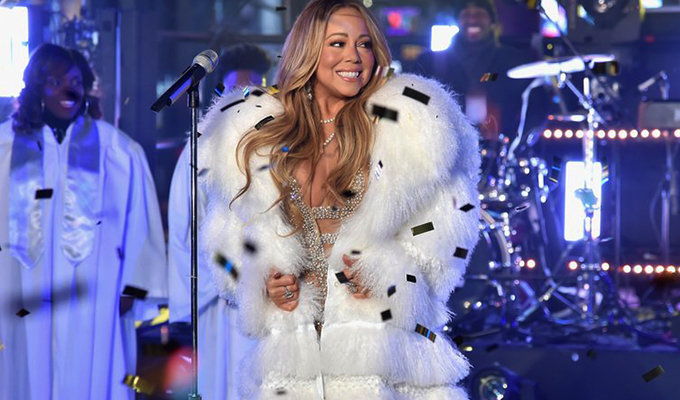 - 6 versions of 'Auld Lang Syne' climbed up to the top 10 of iTunes' holiday chart on New Year's Eve. 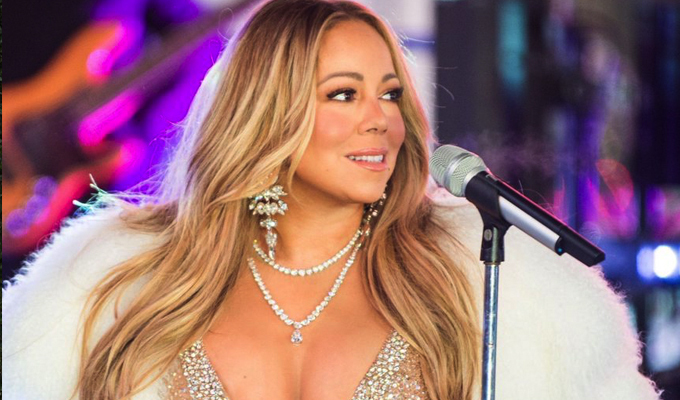 Mariah's version was #1 on both the songs and the videos charts.